Ideal for GPS apps and listening to your music, the Olixar Universal Bike Phone Mount combines a versatile handlebar pedestal with a universal mobile phone bike holder. 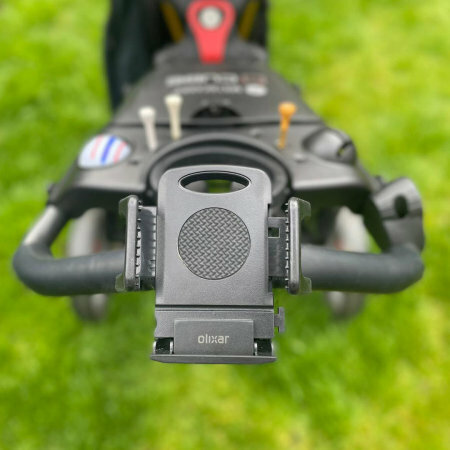 Designed for both pedal bikes and motorbikes, the Olixar Universal Bike Phone Mount allows you to place your device on your handlebars in either landscape or portrait orientation. You can map out your routes using GPS specific apps, measure the distances you have travelled and even listen to your favourite tunes via the speaker or headphones. 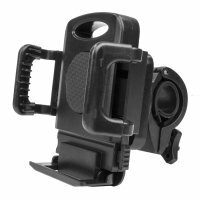 The Olixar Universal Bike Phone Mount is not phone specific and works with most devices, including those that have protective cases or skins on them. 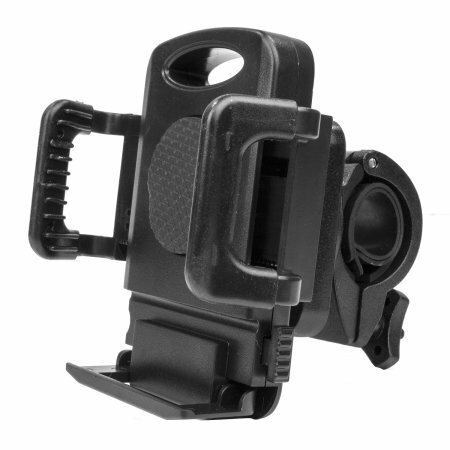 Featuring adjustable arms, the phone holder can be adjusted to fit virtually any phone. Compatible with mobile phones between 54mm and 100mm in width. Remove your phone speedily and with ease using the Olixar Universal Bike Phone Mount's quick release button. With just one press, the arms of the holder expand automatically - releasing your phone when you wish to leave your bike behind. 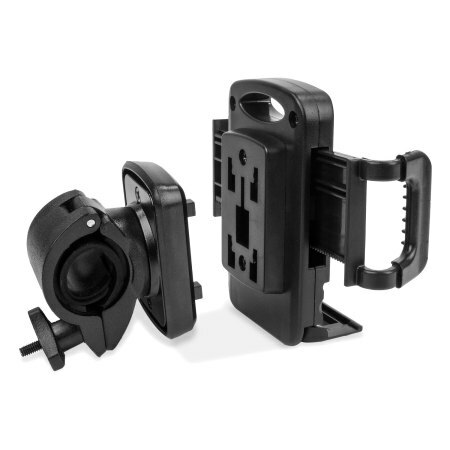 Installing the Olixar Universal Bike Phone Mount to the handlebars of your bicycle or motorbike could not be easier, using just a single nut to attach the mounting clamp to your bars for a secure fit. Then simply slide the phone holder onto the plate and use the arms to secure your device safely within. The mounting pedestal fits handlebars up to 33mm in diameter and is compatible with most straight, drop, trekking and touring sized handlebars. Furthermore, the Olixar Phone Mount can also be used with motorbikes, golf carts, wheelchairs, ATVs, snow mobiles and other equipment.